Sun protection hats have lately, become a major component of people's sun protection regime. People have gradually come to realize that just using sunscreen is not enough and the use of sunscreen lotion needs to be supplemented with other things like sun hats, sun block clothing and even sun block canopies. 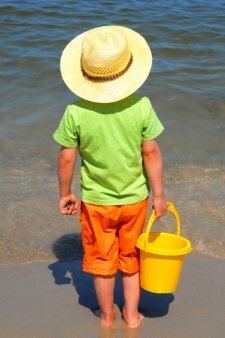 Why do you need sun protection hats? It is a commonly held belief that sunshine is one of the most beneficial naturally occurring things for humans. For the most part, this belief is true. However, like everything else in this world that becomes negative when used excessively, sunshine can turn villain from hero if you expose yourself to it too much. The need for you to be protected from the sun can be summed up by listing all the negative things that overexposure to it can cause. Prolonged exposure to sunlight has the potential to cause Malignant Melanoma, Skin Cancer, Macular Degeneration, increased skin ageing and deterioration of hair quality, apart from other temporary problems. The reason why prolonged exposure to sunlight can do this to you is simply the fact that a major component of sunlight is comprised of UV rays. Therefore, as is made evident from all the adverse effects of extended exposure to sunlight, UV protection becomes very important. This is why sun protection hats are advised by medical experts for virtually everyone. What is the process through which these types of hats protect you? As you have most probably already surmised, the working principle behind these types of hats is the direct blocking off of the ultraviolet rays by way of specifically created material. The material of these types of hats usually comes with either UPF ratings or SPF ratings. These ratings are often used as synonyms by manufacturers. Even so, SPF stands for Sun Protection Factor while UPF stands for Ultraviolet Protection Factor. Ideally, you should look for a rating of SPF 50+ or UPF 50+ when buying your hat as this would mean that your hat would be able to block off around 98 percent of the negative ultraviolet rays of the sun. What should you consider when buying hats for blocking ultraviolet rays? If you are looking to purchase hats that would protect you from the adverse effects of ultraviolet rays then you should keep certain things in mind. The foremost of these is, as mentioned above, the UPF or spf rating of the hat. Along with this, you should also pay attention to how effective the hat is in terms of blocking sunlight from your face and even neck. 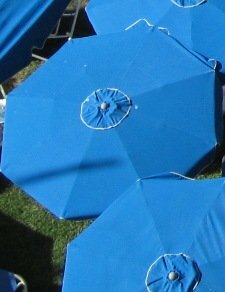 While wide brim sun hats are especially useful for blocking sun, the best, by a long shot, are legionnaire hats which would not only cut off sunlight from reaching your face and hair but also your neck and ears. Legionnaire sun protection hats can do this simply because they come with an attached curtain that shields your neck and your ears. Apart from this, you can even focus on combining functionality with beauty because there are many sun hats in the market that comply to modern fashion trends as well.